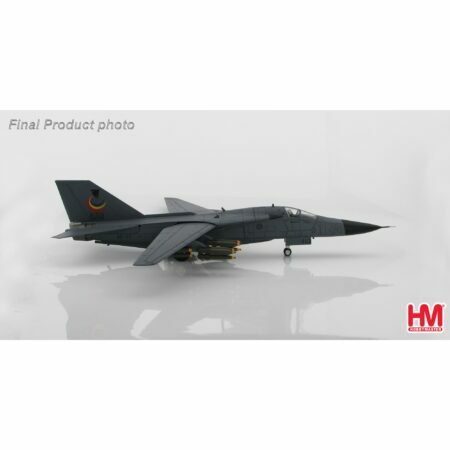 F-111C RAAF A8-113 Farewell model, in 1/72 scale from Hobby Masters (HA3017). Can be shipped to the North America and Europe. Note to buyers from outside Australia, the price displayed includes a ten percent goods and services tax, this is automatically removed when you ship to an overseas address. No aircraft’s introduction into RAAF service has been as controversial as that of the F-111. Conceived in the early 1960s as the TFX (Tactical Fighter Experimental), the F-111 was to provide a strike capability to the US Air Force Tactical Air Command (TAC) with the F-111A and later models, and to the Strategic Air Command (SAC) with the FB-111 series. Additionally, an air superiority capability for the US Navy was to be provided by the F-111B variant that was later discontinued in favour of the F-14. For the Canberra replacement in 1963, the Australian Government took the unusual step of ordering 24 TFX aircraft while they were still in the design phase. This led to much criticism over subsequent years as development problems and escalating costs plagued the F-111 production program. Perhaps this could have been expected of such a radical design utilising variable geometry (sweeping wings), and terrain-following radar, which allowed automatic blind low-level flight. The first prototype F-111, numbered 63-9766, flew on 21 December 1964 and was followed by 16 pre-production development aircraft, F-111As for TAC and 76 FB-111As for SAC. The 24 RAAF aircraft, designated as F-111Cs and serialled A8-125 to A8-148, were similar to the F-111A version, but with the longer wings and heavier undercarriage of the FB-111A. The Royal Air Force ordered 50 similar models, designated the F-111K, but this order was cancelled. Later US Air Force models included 96 F-111D, 94 F-111E and 106 F-111F, the ultimate F-111 in performance, with advanced avionics systems. Subsequently, 42 F-111As were modified by Grumman to EF-111A Raven electronic warfare jamming aircraft, but the program to modify SAC FB-111s to F-111G standard for TAC was subsequently curtailed after 36 had been modified to the tactical bomber standard. 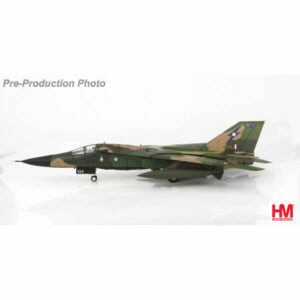 A total of over 560 F-111s were finally built. The first F-111C was handed over to the RAAF on 4 September 1968, but problems with the wing carry-through box (the advanced wing sweep mechanism) delayed delivery to Australia. After further development and testing, and after much negotiation regarding aircraft fatigue life, the aircraft remained stored at General Dynamics until final acceptance in 1973. For part of this period, 24 F-4E Phantoms were leased to Australia to provide an interim attack capability, until aircrew and maintenance personnel finally deployed to the US to convert to type and ferry the F-111s back to Australia. The first of four delivery flights, led by Group Captain J.W. Newham (later Chief of Air Staff) and Wing Commander (later Air Commodore) T.C. Owen in A8-125, finally arrived at Amberley on 1 June 1973. The last of the delivery flights arrived on 4 December. The F-111 equips RAAF Nos 1 and 6 Squadrons of No 82 Wing in the Air Combat Group (ACG) for maritime and land strike. Four have been modified to become RF-111C reconnaissance aircraft. These are used by No 6 Squadron, which is also tasked with crew conversion to the F-111. In 1981, four US Air Force F-111As were purchased to act as attrition replacements. On delivery in 1982, these aircraft became A8-109 to A8-114. They were subsequently modified to full F-111C standard. The F-111 is a remarkable aircraft. 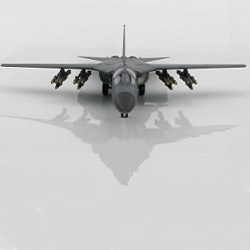 With its long range and weapons carrying capability, its avionics fit which allows all weather strike, and by virtue of the terrain-following radar allowing low-level penetration to the target, the F-111 is unique, and to date no viable replacement has emerged. To add to its attack capability, the RAAF has modified the F-111C to carry the Pave Tack forward-looking infra-red radar and laser target designation pod. The Pave Tack system passively enhances target identification in poor weather and at night, and the laser designator enables homing of laser-guided bombs, the effects of which were graphically demonstrated by Allied forces during the 1991 Gulf War. The F-111 is still the world’s leading long-range strike aircraft, but to improve both its capability and maintainability, the RAAF has embarked on the Avionics Update Program (AUP) with advanced systems to keep the F-111 in the front line through to the year 2010. AUP aircraft entered service in 1994 and the upgrade was completed in 1997. In October 1992 the Minister for Defence announced the proposed acquisition of up to 18 surplus US Air Force F-111s to extend the type’s service life. Ultimately 15 F-111G models were selected as the most suitable for introduction to RAAF service. The F-111G does share commonality with the F-111C, with the longer wings and heavier undercarriage. The G also shares some of the avionics fit that was fitted during the F-111C AUP, notably the same terrain-following radar, attack radar and multi-function displays for the aircrew. 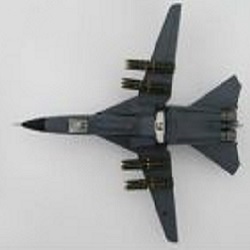 However, other aspects of the F-111C are different. The avionics will not be fully compatible with the AUP, and also the G is powered by Pratt & Whitney P-107 turbofans. These cannot be standardised with the F-111C’s P-103s due to the different intake and fuselage shape. The extent of these differences is not considered to be insurmountable. F-111C aircraft were produced in 1968 and remain unsurpassed in capability. If still in service in 2010, these aircraft will be over 40 years old. For an attack warplane, this is unprecedented and truly remarkable feat. Two-seat long-range strike reconnaissance aircraft. Two 8165 kg (18,000 lb) thrust Pratt & Whitney TF30-P-103 turbofans. Wing span (extended to 16 degrees) 21.33 m (70 ft); (swept to 72 degrees) 10.34 m (33 ft 11 in); length 22.4 m (73 ft 6 in); height 5.3 m (17 ft 5 in). Basic (Pave Tack) 23 300kg (51 300lb); Max take-off 51 955kg (114 300lb). Max speed Mach 1.2 at sea level, Mach 2.5 above 50,000ft; Cruise speed 780 km/h (420 kt); Ferry range 5560km (3000nm); Ceiling 50,000 ft (15 200 m). Four Harpoon anti-ship missiles; combinations of Mk 82 and Mk 84 bombs or Paveway II laser-guided bombs with AIM-9 Sidewinder air-to-air missiles; also capable of delivering GBU-15 electro-optical glide bombs.